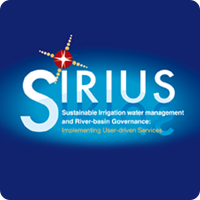 SIRIUS (FP-7 SPACE-2010-1), and precursor PLEIADeS and DEMETER, have successfully developed and implemented GMES services for irrigation water management in eight pilot areas on four continents. In 2 areas (Spain, Italy) additional EO-assisted Farm Advisory Service modules have been demonstrated (covering water and nutrient management as well as yield forecast). 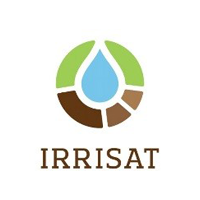 IRRISAT project developed an Irrigation Advisory Service based on near-real time distribution of EO products, already operative in the Campania region, Italy since 2007. In 2013, the operational irrigation advisory service of Campania Region has reached about 1400 farmers in three different consortia. The service is implemented in the framework of the Rural Development Plan of the Campania Region, Measure 124 Health Check, as a further step for the implementation of E.U. Directive 2000/60/EC in the agricultural sector. 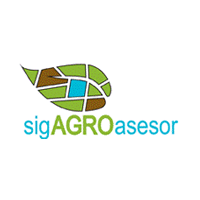 sigAGROasesor, a LIFE+ project that developed an online tool capable of displaying customised recommendations for extensive agriculture, in real time, and for specific areas of cultivation and to further develop an existing decision-support tool for extensive agriculture to provide recommendations on crop varieties; sowing techniques; fertilisation; irrigation; and risk of plagues, diseases and weeds, to be demonstrated on 600 plots in 10 regions. 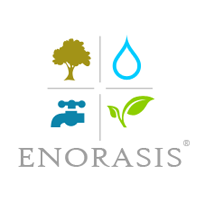 ENORASIS is an FP7-ENV project which has developed an integrated DSS for the environmental optimisation, and thus sustainable, irrigation management. The ENORASIS system exploits satellite observations for weather prediction, and wireless sensor networks for field measurements and monitoring conditions. The web services interfaces allow ENORASIS and third party applications to exchange data according to the authorization rules configured. 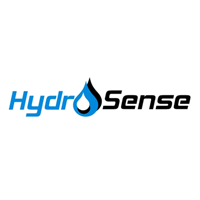 Hydrosense Life IIIC EU Project (2010-2012). Precision Farming was based on ground sensor information for crop needs in fertilizer and irrigation management. Variable-rate fertilization was applied via a differential irrigation system designed to deliver water and nitrogen in independent management zones. Satellite imagery was used to scale-up soil reflectance data to watershed level. EUREKA project ALICE (ALert system In Case of Excess withdrawal or rise up of groundwater in the sensitive areas) deals with the development of an alert system that warns of extreme groundwater-level declines or rises in areas that are directly dependent on steady-state groundwater level. Application of Biological Management of Cultivation of Olive Trees with Satellite Remote sensing – Precision Farming. EU Funding Project based on 867/2008 regulation of the Council of Europe regarding the reduction of inputs (fertilizers, pesticides, irrigations quantities) into Olive Trees Farms managed by Agricultural Cooperative Associations in Greece using environmental friendly technologies (2012-2015).